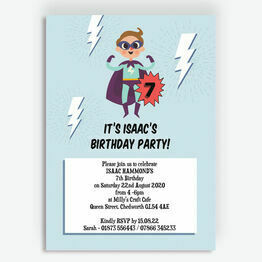 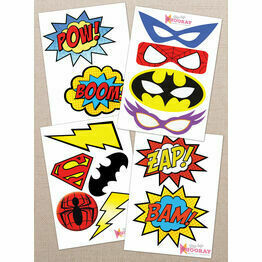 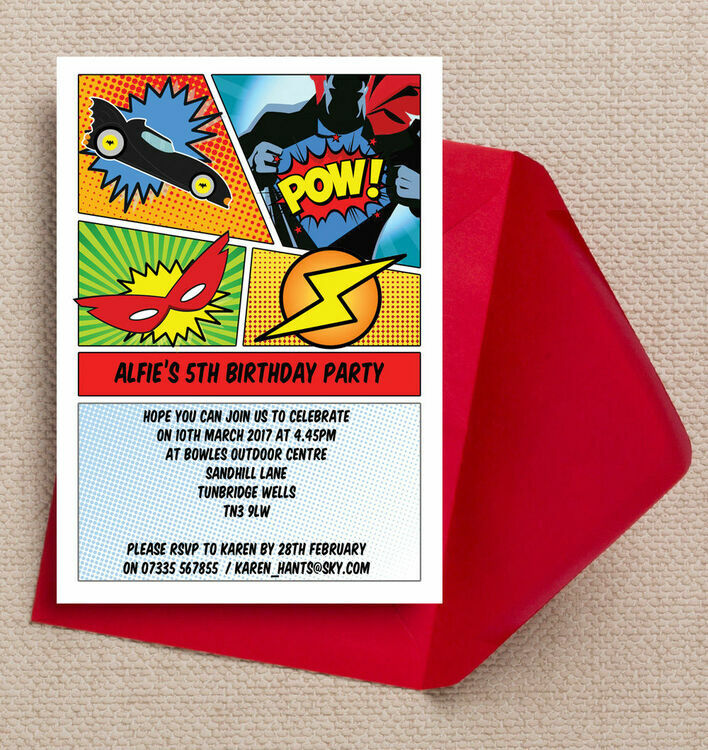 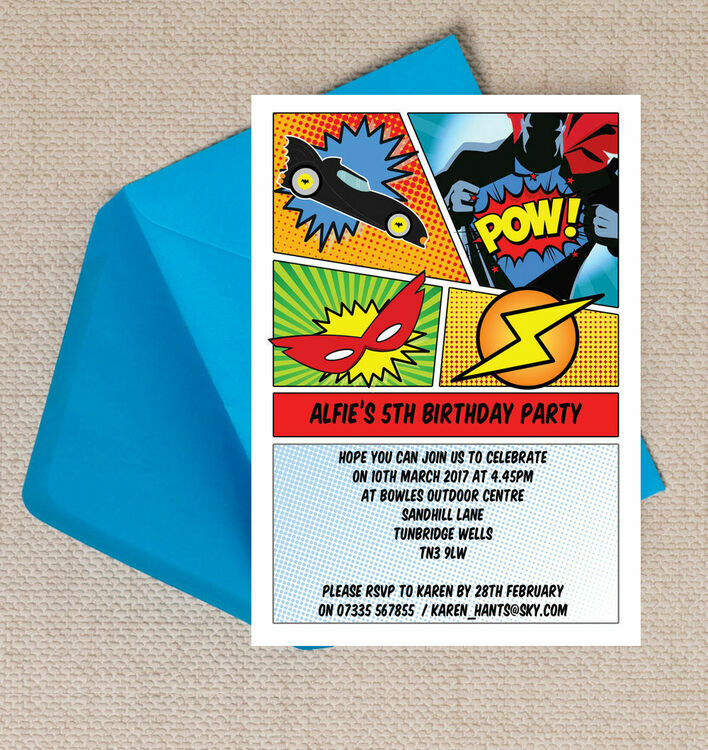 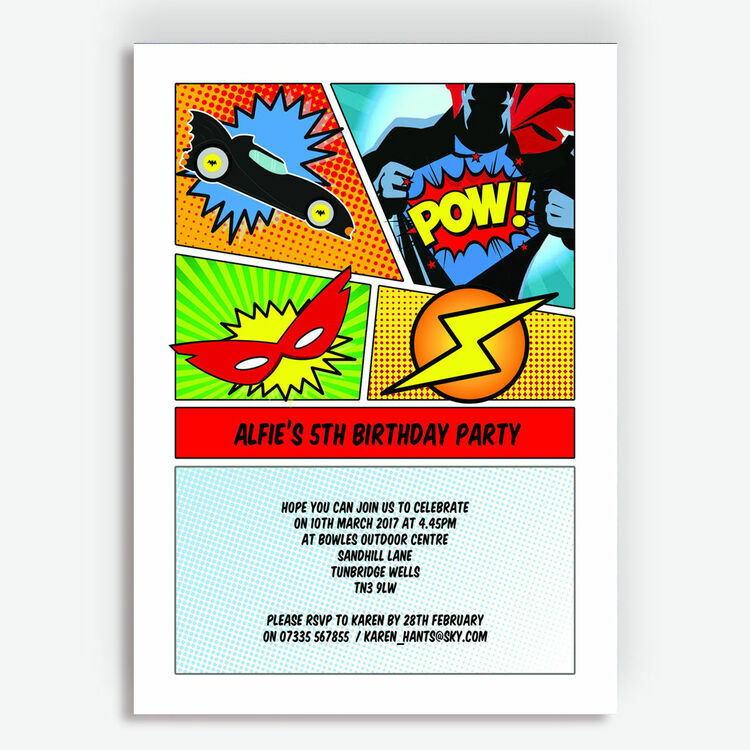 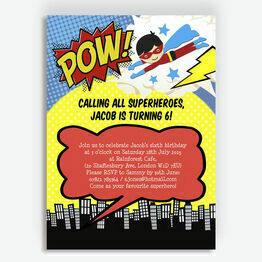 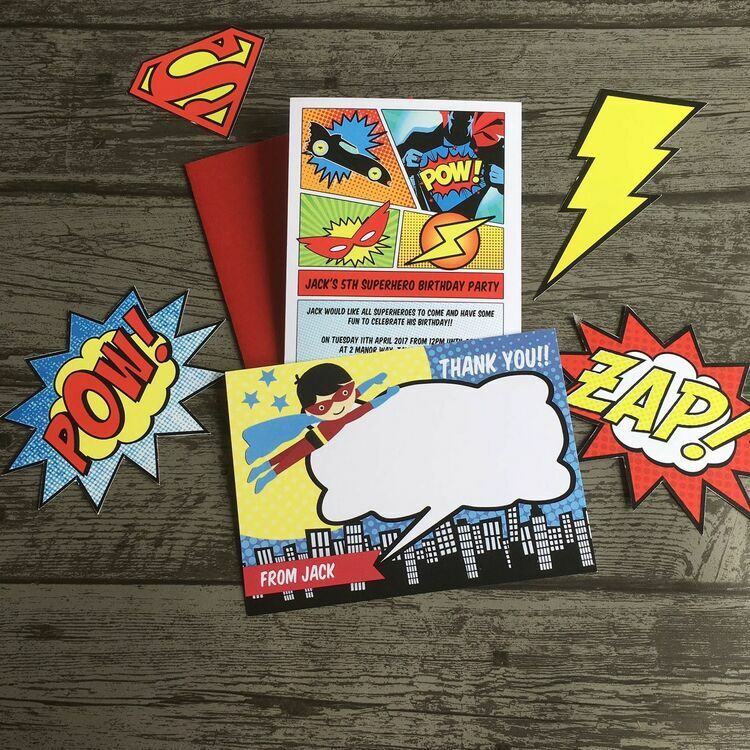 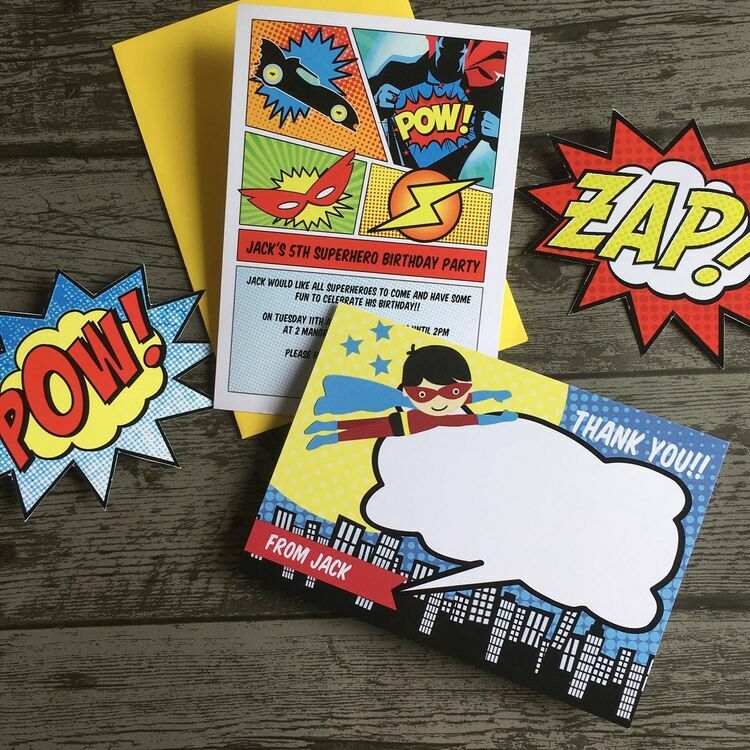 If your little man loves comic books and superheroes, look no further than this bright invitation design which has a cool superhero, lightning bolt, car and mask illustrations in a marvel style. 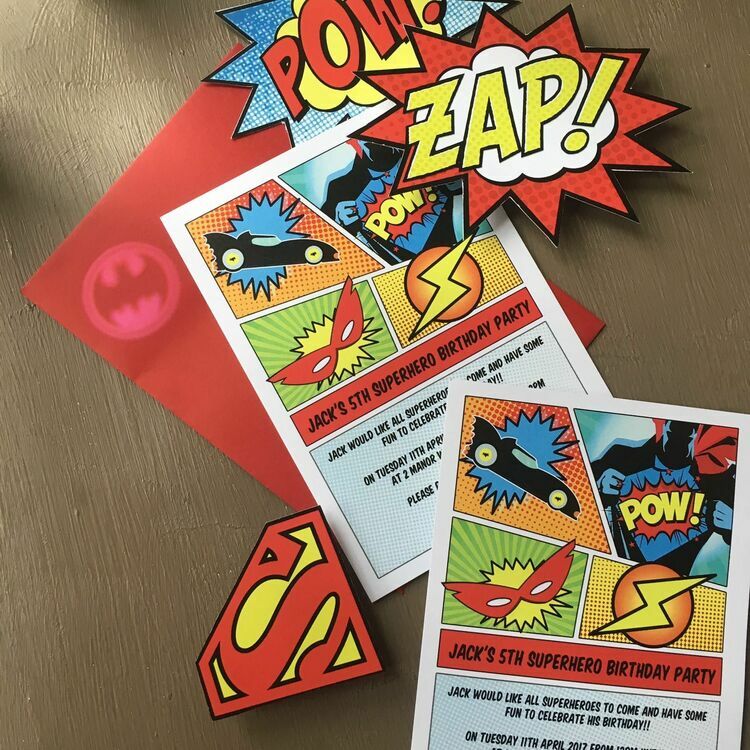 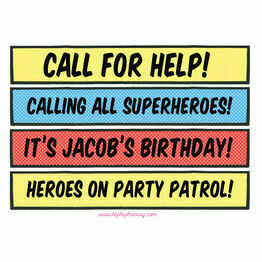 These invites will get all his friends excited for the birthday party - and you can keep all the parents informed of the plan by personalising this template with your own text online. 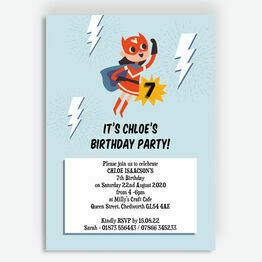 Choose to print your own invitations from home, or why not order them professionally printed for a quality finish and stress free experience. 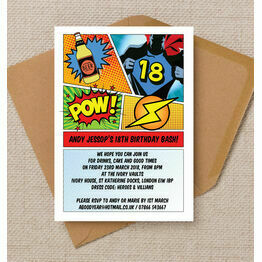 Invitations arrived just a few days after ordering as advised. 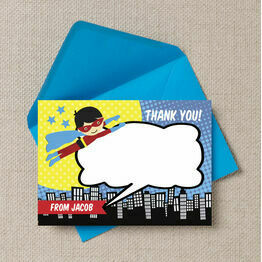 I was kept informed all the way through on where they were and at what stage of the process they were at via email. 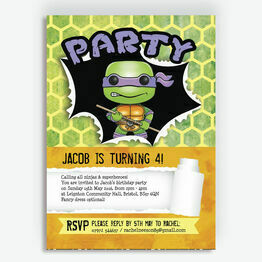 Finally received a wonderful set of invitations. Loved the special touch of a packet of flower seeds and the organza pouch they arrived in. 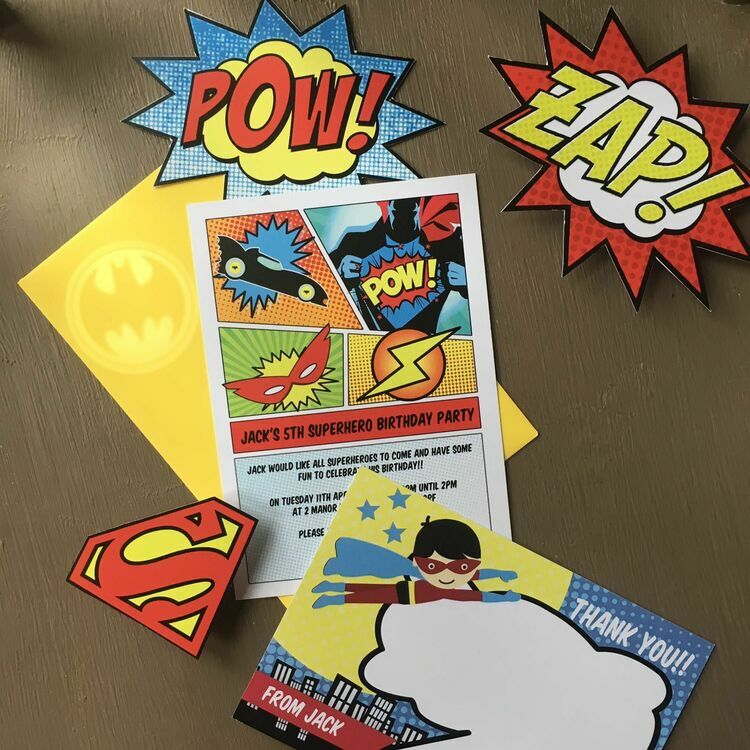 Can't fault this service or product at all.